Yes, this retro-, cool-, futuristic-looking vehicle is slated to arrive in production form by 2019, with a top company official confirming the matter. “This is not some vision of the distant future; a production version of this car will be here in Europe in 2019,” said Takahiro Hachigo, president and CEO of Honda. Design wise, the car certainly appears to evoke memories of the first- and third-generation Civic hatchback, albeit curvier (Volkswagen Golf Mk1, maybe?). The low slung and muscular stance is coupled with compact proportions – its just 100 mm shorter than the Jazz at 3,855 mm. Up front, the Honda logo and #HondaEV emblem are illuminated, as are the DRL rings around the main headlights. The space between those circles features a display that can be used to show messages or charging status updates, and will likely be overused if the driver is driven in our country. Down the sides, you’ll find multispoke wheels as well as pop-out cameras, the latter making the need for conventional side mirrors redundant. Other notable bits include the thin, blacked-out A-pillars and rear-hinged coach doors. The rear meanwhile, is almost a mirror of the front, although there are square lighting units here instead. The Honda logo is still backlit, and the vehicle’s name is spelt in full, minus the hashtags. Inside, drivers are greeted by an array of displays, the largest of which is directly in front of them. 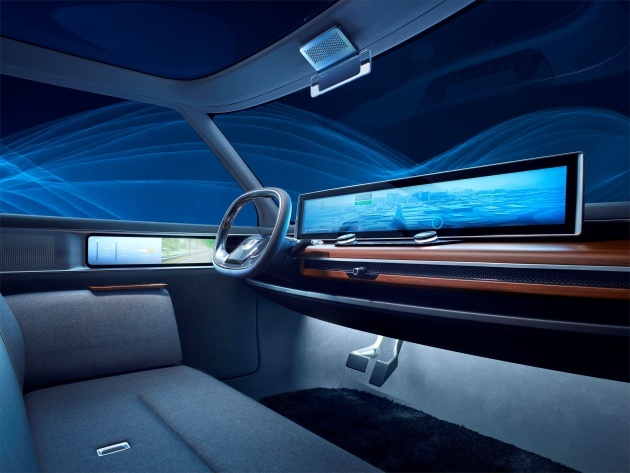 A display that would make the one in the Mercedes-Benz S-Class blush, the one here presents a range of vehicle information including remaining battery level. As for those on the doors, those function function as the car’s wing mirrors through digital camera displays. The interior also houses a rectangular steering wheel, grey fabric upholstery and generous use of wood trim. 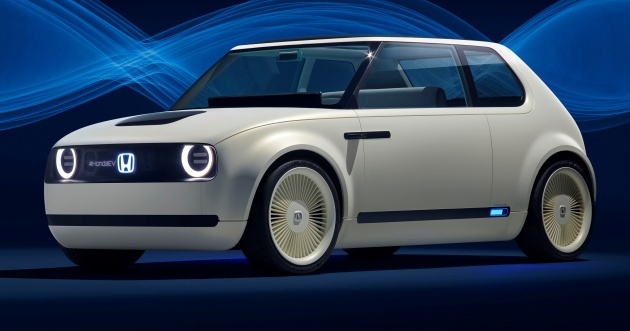 Honda says the Urban EV Concept will accept up to four occupants, across two bench seats. It adds that the seatbelts for the rear bench are fixed in the middle of the seat, allowing the belt to retract out of the way before a passenger exits the car. With mobility and daily life being seamlessly linked these days, the Honda Automated Network Assistant concierge service learns from the driver’s past decisions to make new choices and recommendations. An electric charging cable is housed on the bonnet, and is used to charge the vehicle’s batteries. Unfortunately, details about the concept’s electric powertrain were not provided, but it is capable of sending electricity back into the grid to provide revenue opportunities for EV owners in the future. So, it looks great, is environmentally friendly and will be put into production. Want one? Ohsem Pagoh ckd Honda Uban. Our regular commentator john said Iriz EV going to be launched next month. Can Paul Tan elaborate on this. I would like to buy this Iriz EV. I like to support our Proton by buying this Iriz EV. Do you guys at PT know the launch date? Dear Mr Nordin/Periasamy/YB Kunta Kinte. Enough of your bashing here on PT. Regular readers would like to share their opinions on certain articles, not bashing P1/P2 on every article that PT brought out. Honestly, if you can do better than MOST of the P1 starff and management(based on your opinions and facts) I sincerely hope that you can move from your keyboard, and start making an effort in real life to change that. By that way, I will suppport you 100%. The problem with electric city cars is that people who live in cities live in condos and apartments. Condos and apartments don’t have charging points. Most of them who live in Apartment complex (according to some EV owners in London from Jalopnik) is that they charged it while at work. According to them, most multi-story car park in central London are all wired with at least a standard 3-pin plug thou more modern facilities include fast charging. My local office have a few dozen 3-pin potted around the car park. The interior makes it look like you’re driving around with a office desk and a Logitech steering wheel stuck to it. I do like the Zen minimalist look of it inside and out, Honda of yore always seem to give a stealth sporty look contrary to the in-yer-face Gundam they are doing now. Hopefully most of the design will make it to the production car. Looks like a mk1 Golf. Like it.